One of the bigger events this summer was the opening of the Dekalb Market in downtown Brooklyn. 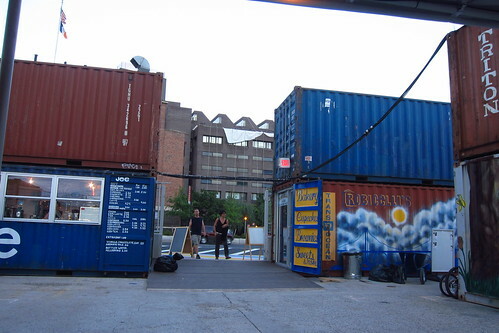 Made from recycled shipping containers, it allowed more small businesses to enter into the market in a fostering environment, including the wonderful Robicelli's. Well, I've visited a couple of times now, and I can say it's definitely worth visiting especially this Sunday night during Brooklyn Night Bazaar! Sunday night, the party will add about 50 vendors to the mix already there, so it's a definite must on your foodie weekend schedule. But there are some highlights if you feel like stopping by before then. One of which is Cheeky's Sandwiches. I started craving Cheeky's while working on Real Cheap Eats. Time and time again, I saw the picture of their chicken sandwich, and salivated over it into the wee hours of the morning. You'd best be sure that I made a bee-line for their container as soon as I could. 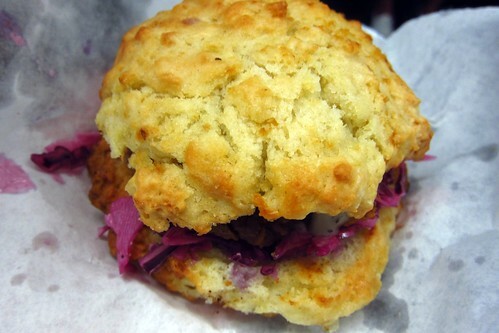 The fried chicken sandwich is not to be missed: moist, tender chicken sandwiched between buttery and crumbly biscuit halves with a nice slaw adding texture, color, and a vinegary kick. Delicious. Another winner is Cuzin's Duzin Doughnuts (which is also currently at Madison Square Eats.) Mini doughnuts made fresh on a little doughnut flume. 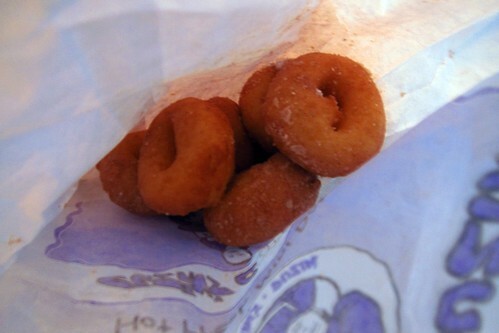 You can get a half dozen of fried, lightly sugared goodness for $2. It's worth it. And of course, there's a little place called Robicelli's. 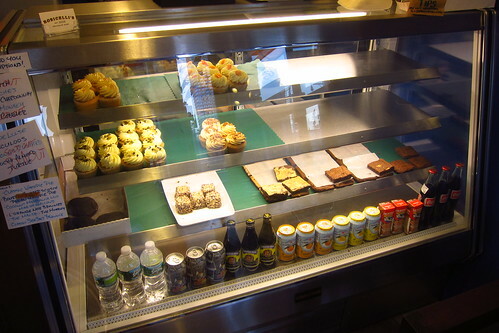 They make cupcakes, brownies, and whoopie pies, plus they carry marshmallows from Kitty Lee Thomas Sweets. I've turned into a slaw-ficianado as of late - a vinegar-y, chew-y, spicy bite on a sandwich is EVERYTHING. I was put off by it as a kid because I thought it had to be a mayonaise-y mess. I have to drag my man out for this thing pronto.